When you search on Google for the term “hand” or “leg,” the results you get back rarely feature a person of color. It was this particular search result that led Swedish design student Johanna Burai to launch the World White Web campaign. I was looking for an image of a black hand, and I expected to find one simply by searching for ‘hand’. 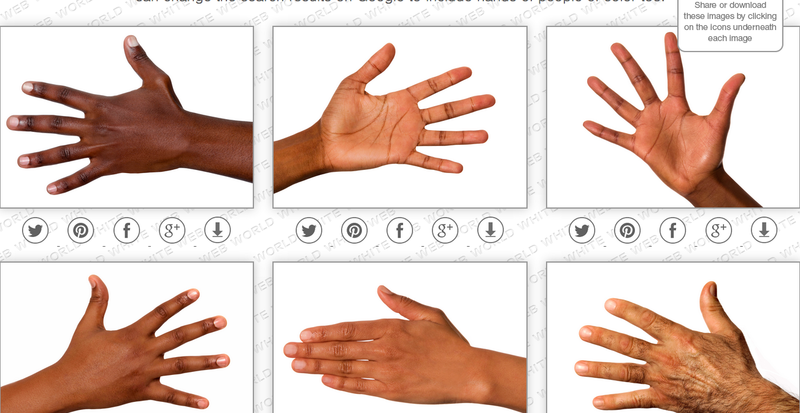 A Google image search for the term “hand” gives you about 800 hits, but they are all white. You need to perform a more detailed search if you want to find non-white hands. The World White Web project aims to raise promote equality in search results and raise awareness of ‘whiteness’ on the Web and any campaigns to stop it. 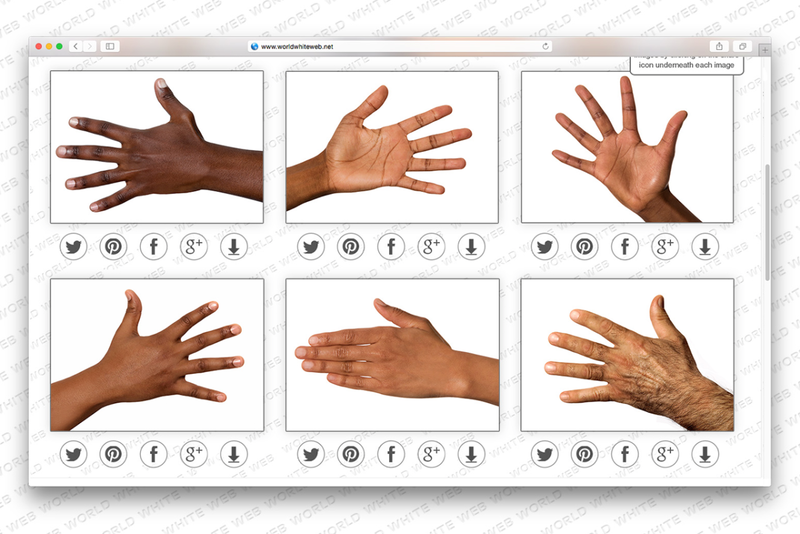 The site features six images of non-white hands that you are encouraged to download and share on sites like Twitter, Facebook and Pinterest in order to boost their rankings on Google. It also includes links to informative pieces on related topics like white privilege and institutional racism. I think representation is very important for all of us. To be represented in a positive or neutral way in all kinds of media, such as television, magazines, commercials, films etc. That’s why I want to make the Google Image Search a little more diverse. Less than a week old, the final year student’s project is gaining traction online with over 2,000 shares of the images on Facebook already. It will be interesting to see the impact of such a simplistic approach to a complex problem.